Audio Martyr is a 3 piece band from Arizona, USA and formed in 2010. Michael Coe ( Bass / Keyboard ) and Jeff Heatherly ( Guitar / Vocals ), who formed this band recorded their first Demo in 2000 under the band Dex-03. They have been seperated to work on other project for a while. 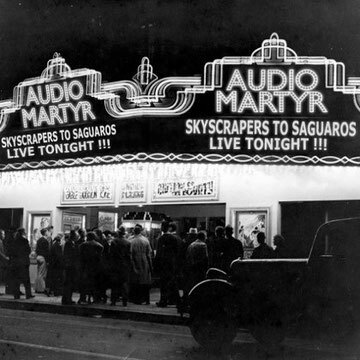 Now they reunited again under the band Audio Martyr and Mike Freeman (Drums) joined the band to record the debut album Skyscrapers To Saguaros Love & Hate. You can hear some songs from the album on their official network pages below. Also check out the video Bubble Gum Hand Grenade that they spent a lot of time to make has been just posted on YouTube.